Here in Panama we are gearing up for next month’s Panama Conference, and it’s shaping up to be a great one. Our uber-talented conference coordinator, Valentine Fouché (who has her own newsletter, by the way, which you definitely want to sign up for), has pulled out all the stops and come up with an agenda that covers all the bases. You would expect nothing less from a Live and Invest Overseas shindig, but this one really is above and beyond. There are sessions about doing business in Panama and the amazing investment opportunities in the country. There’s a session about volunteering, and another about health-insurance options down here. I will even be up on stage at one point talking about my own move from Austin to Panama. And, of course, there are lots of networking opportunities and that fabulous welcome cocktail party. I’ve been watching posts from attendees who have signed up at our Conference group page on Facebook, and it seems like there are quite a few people planning on coming early or staying late or both. That’s something I strongly encourage. If you are thinking about a move—permanent or part time—to someplace, it makes sense to spend as much time there as possible before you hang up the for-sale sign back home. There’s certainly plenty to see and do in Panama. 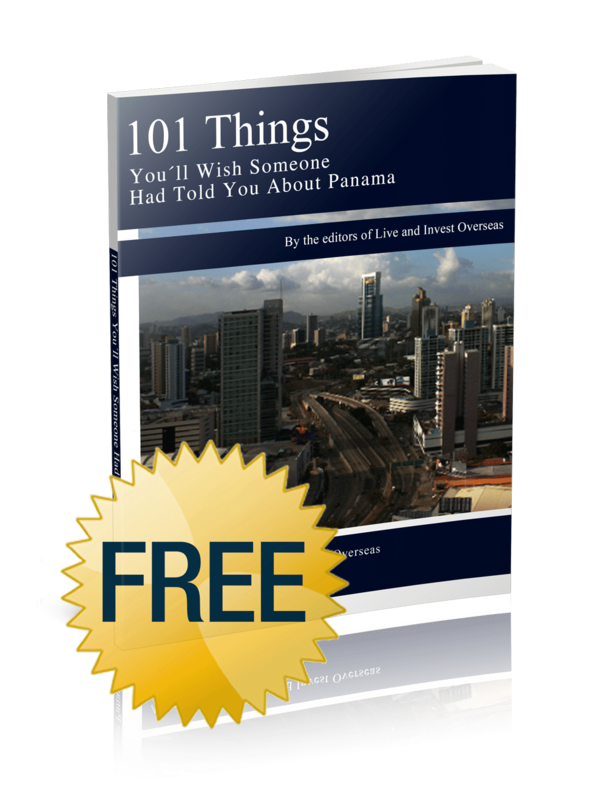 A lot of people who come to Panama see the capital as merely a waystation to more exotic locales like white-sand beaches on the Pacific, crystal-clear Caribbean waters, or rugged mountains in the interior. And that’s understandable. For such a small country, Panama packs in some world-class destinations. That said, don’t ignore Panama City entirely. Think about, for example, spending some time in one of the most historic and architecturally rich colonial neighborhoods not only in Central America but in the world. Casco Viejo, founded in 1673 following the destruction of the city’s original location, has a long and storied past. In this UNESCO site, Spanish, French, and American colonial structures line the brick-paved streets and surround classic and shady plazas. Casco’s centuries-old churches, museums, art galleries, and trendy bars and nightclubs are well worth the time and effort. Incidentally, one important historic sight you won’t find in Casco is the original location of Panama City, known as Panama Viejo. The site, now in ruins and a must-see for any hobby historian, is just a few minutes outside of the financial district on the way to Costa del Este. Less interested in history than in modern glitz and glamor? Panama City’s got that, too… starting with the Trump Hotel’s pool bar on the 66th floor, where the view of the city is worth the US$10 cocktails. Feeling lucky? Roll the dice in the newly opened casino. The ocean-side restaurant is worth a visit, too. If you’re not a fan of The Donald and shudder at the idea of entering a building with his name on it, don’t worry. You have other options. At the Hard Rock Hotel, spectacle is everywhere, down to the memorabilia on the walls. The pieces on display include one of Slash’s famous top hats, Sid Vicious’ classic leather jacket, a rhinestone jumpsuit worn by Elvis, the shoes worn by Britney Spears in her “Hit Me Baby” music video, the bra and G-string worn by Madonna during her 1993 “Girly Show” tour, and the East German built Trabant automobile used on stage during U2’s 1992–93 Zoo-TV tour. The upper-level rooftop bar hosts live music performances regularly, and the dance floor is always sweaty. After a long night of mojitos and cervezas, you might appreciate some outdoor time after you sleep in the next morning. 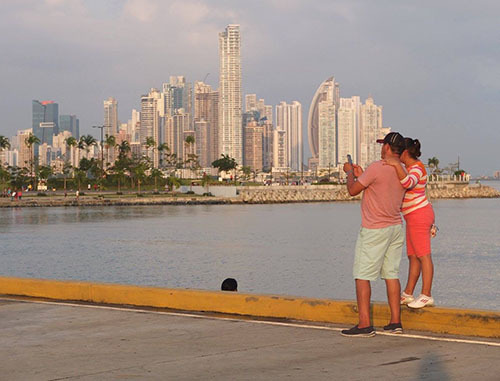 If it’s a Sunday, take a stroll along the new Cinta Costera ocean-side walkway along with what seems like half the population of Panama City. 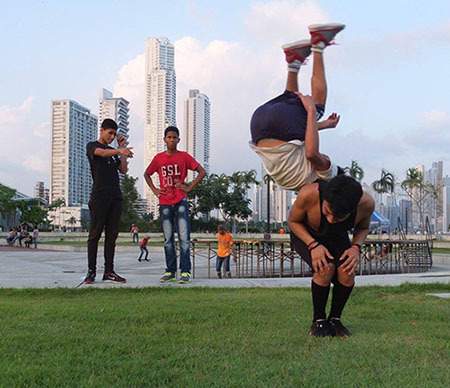 The trails and parks along Panama’s oceanfront cover 26 hectares and include playgrounds, fountains, sculptures and statues, outdoor workout equipment, skate parks, soccer fields, and basketball, volleyball, and tennis courts. Along the Cinta, too, are the fish market and Maracana Stadium. This is the place to be for parades on Independence Day, Christmas, carnaval, and often random Sundays. While the Cinta is a nice piece of greenery in an otherwise concrete jungle, it doesn’t serve up any wildlife. But don’t worry. Panama City has that, too. With more than 650 acres of it, Panama City is the only capital city in the world with a rain forest within its city limits. If you want to experience some of this urban jungle (literal jungle, not concrete), take a trek up to the top of Ancon Hill. The 654-foot summit is the highest point in Panama City, and the views of the city and ocean are worth the hike. You might also see a sloth, a monkey, or other jungle wildlife. Another spot in Panama City that should be on any nature-lover’s list is the newly opened Biomuseo at the base of Panama City’s Amador Causeway, a stretch of islands connected to each other and the mainland using dirt and rock dredged in the making of the Panama Canal. 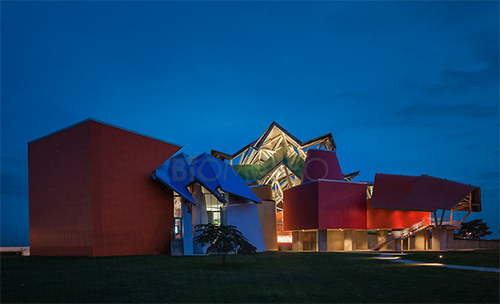 Designed by internationally renowned architect Frank Gehry, the Biomuseo is housed in a contemporary structure in the category of the Pompidou Museum in Paris. The museum’s exhibits are based on Panama’s biodiversity and curated by the Smithsonian Institution and the University of Panama. One recent exhibit showcased the fossils of giant sharks and tiny camels unearthed during the ongoing Panama Canal expansion work. Finally, of course, no stay in Panama City would be complete without a visit to the Panama Canal, one of the seven man-made wonders of the world. If you don’t want to invest the time (12 hours) or the money (around US$200) to transit the canal, visit the Miraflores Visitor Center, where you can watch ships pass through the locks and learn about the canal’s history in the center’s worthwhile museum.